James Hutchings at Teleleli recently asked me to take a look at his new e-book, The New Death and others. I’m sorry it’s taken a while to get my thoughts together on it but it is 94 pages long and to skim-read it would be to do it a great injustice because it’s a very good read. The work is a collection (44 stories and 19 poems) of very short, short and longer pieces with a weird slant, very well-written and with a vein of knowing humour that had me laughing out loud on several occasions. 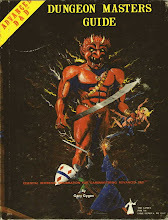 Older readers may well recall The Argosy, a UK magazine that ran between 1926 and 1974 (and boasted such contributors as Ray Bradbury and Lord Dunsany) – it had stories, serials and page-fillers and James’ book reminded of this and others of similar format, such as Amazing Stories and Analog. All that’s missing from The New Death are black and white illustrations amidst the pieces; there is a cover illustration, a delightful woodcut skeleton couple. As I’ve mentioned, the slant of the content is towards the humorous, with several instances where the punchline creeps up on the reader and takes them by surprise; a turn that makes the humour all the more effective. 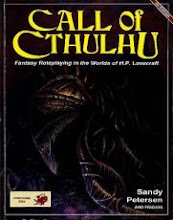 Whilst the tone is welcome and makes for an enjoyable read, I’d like to see James tackle some longer and darker pieces too – maybe the next release could tilt towards the eldritch and the grim. The subject matter of the pieces varies as well; we have stories that remind me of the HPL mythological tales (oddly enough, I’d never really liked them when Lovecraft did them but James manages to pull off these pieces with aplomb), neat little quarter page paragraphs that slip down effortlessly and then repeat on the mind for hours afterwards. There is also poetry that works particularly well; some of the longer pieces are in a poetic style. There are also hints of Borges that creep in; the sources are eclectic and the collection is all the richer for that. Overall, it’s a book that can be dipped into, rather than devoured in one sitting (although you can do that if you want to). James is clearly a writer to watch, which I will do with anticipation of his next effort. His blog is pretty cool too! The New Death and others is on Smashwords at $0.99. That’s ridiculously low, so you have practically nothing to lose and a very good read to gain. Thanks again for this review. I've linked to it from my blog. Sorry, did I miss something (30 years ago)? Team Adventure - Fee Fi Fo Fum!